Wexler Packaging Products is proud to keep tradition going into 2014 with another donation to the Ronald McDonald House Charities Pull Tab Recycling Program. Wexler has been collecting pull tabs for the Philadelphia Ronald McDonald House since 2003. The Pull Tab Recycling Program is one of the ways Ronald McDonald House Charities raises funds. The program collects aluminum pull tabs because they are easy to clean and store and because they are more valuable than the can itself, being composed of pure aluminum. The pull tabs are brought to local recycling centers where they are weighed and redeemed for cash per pound. All proceeds go towards the Ronald McDonald House and their efforts to provide a home-away-from-home for the families during the medical treatment of their seriously ill child.  As a packaging company that promotes “green” solutions, recycling is woven into the very fabric of Wexler’s core. However, a commitment to sustainability is not why Wexler began collecting the tabs for Ronald McDonald House Charities. The tradition actually started years ago when a Wexler family friend, Leonard Kaufmann, asked us to help with the collection. “We always saved the tabs for him. When he passed away, I decided to keep it going in his memory,” states Pattie Wexler, President of Wexler Packaging Products. True to her word, Pattie Wexler has kept this tradition going. Donations by Wexler Packaging Products to Ronald McDonald House Charities have previously been made in memory of Leonard Kaufmann and will continue to honor him going forward. The Ronald McDonald House began with Dr. Audrey Evans, a pediatric oncologist at The Children’s Hospital of Philadelphia. After watching families spend countless nights in the hospital with a sick child, Evans dreamed of creating a home-away-from-home, where families of seriously ill children could stay throughout the duration of medical treatment. Around this time, the Philadelphia Eagles were raising funds in support of player Fred Hill’s daughter, who was being treated for leukemia at St. Christopher’s Hospital for Children. When Eagles General Manager Jimmy Murray approached St. Christopher’s about making a donation, Dr. Lawrence Naiman told Murray about Dr. Evans and her dream of a home for families of seriously ill children. The two met shortly thereafter and joined forces. Jim Murray then took it a step further, reaching out to McDonald’s with the idea of donating the proceeds from their Shamrock Shake sales to benefit this new house. McDonald’s agreed, and the Philadelphia Ronald McDonald House was born on October 15, 1974. Today, there are more than 300 Ronald McDonald Houses all over the world. The Philadelphia Ronald McDonald House currently has two houses serving 65 families each night, two Ronald McDonald Family Rooms at The Children’s Hospital of Philadelphia, a Hospitality Kiosk at St. Christopher’s Hospital for Children, and a weeklong Ronald McDonald Camp. For more information, visit www.philarmh.org.